Last week I posted the recipe for making salted potatoes which is perfect to serve as a side dish to a great barbecue. Like I said before, these potatoes are almost always served at most Colombian barbecues and are also served with a side of a good Colombian hot sauce. And just like with empanadas, tamales, soups and other Colombian food, Colombian hot sauces are made in different ways depending on the place and the person who makes them. 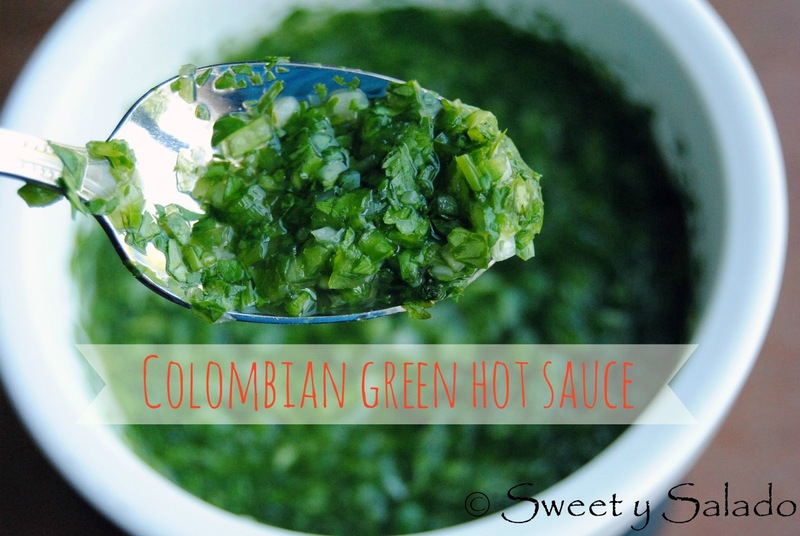 In Colombia, most hot sauces are made with tomato, which is the Colombian Hot Sauce recipe I posted a few months ago, and every now and then it is made without any tomatoes at all, letting the cilantro and green onions give it that rich, green color. 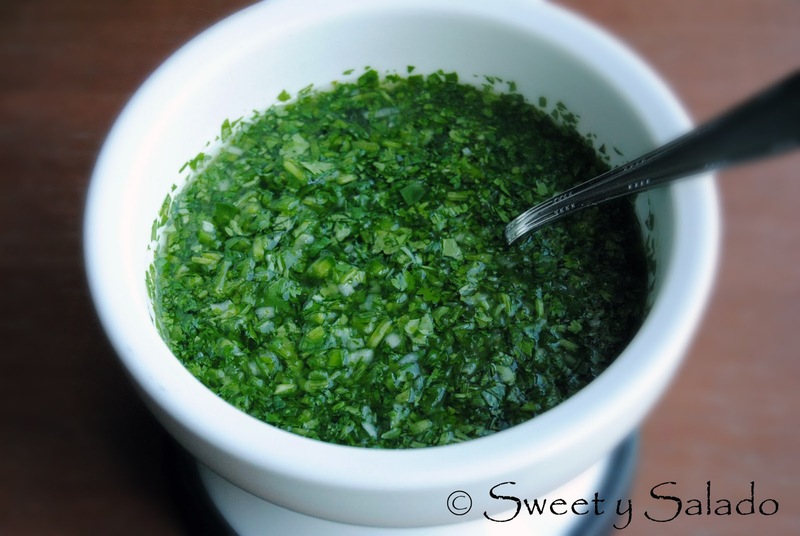 When I was a little girl and had a few pesos in my pocket, one of my favorite things to get during recess was one salted potato (that’s all I could afford) with a spoonful of this green hot sauce. The truth is I had to wait in line for a very long time to buy it while my friends played away during those short 30 minutes we had, but once I had that potato in my hands I knew that the wait was all worth it. I really hope you serve this hot sauce with your Colombian barbecues and also with other delicious Colombian dishes like empanadas and stews. 1. In a small bowl add the jalapeños, cilantro and green onion. 2. Add the lime juice, white vinegar and salt, mix well. Then add the water little by little until you get the consistency you want. 3. Refrigerate for at least one hour before serving. Store in the refrigerator for up to one week.